At the 2010 Geneva Motor Show the I.DE.A Institute returned once again to display an advanced, functional concept car created by the Turin-based design and engineering company. 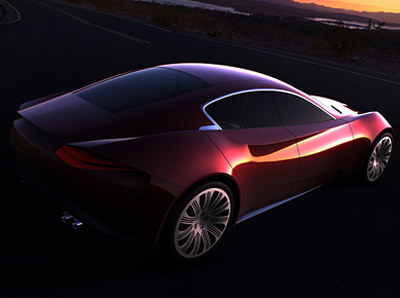 The Sofia concept is a proposal for a 4-seat sedan with a hybrid drivetrain. The concept's styling takes its inspiration from a variety of sources, including I.DE.A's most recent concept the ERA, and the female form. 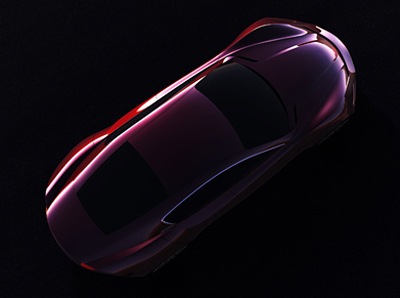 The burgundy colored bodywork is meant to simulate the appearance of a glamorous red dress. One of the aims of the designers was to create a vehicle which had a very Italian feel to it. Well they've succeeded there. The sharply chiseled lines and sculpted front and rear light clusters are designed to create a multitude of flowing shapes and contours all around the vehicle. Powering the I.DE.A Sofia is a V8 engine which driving the rear wheels. A hybrid version which uses the V8 in conjunction with an electric motor has also been conceived. This version would develop around 500 hp (400 hp V8, 100 hp electric motor). The electric motors, powered by lithium polymer batteries, would drive the front wheels.